When Reverb was built in 2013, it wasn’t just dealers and musicians who came to buy and sell new and used instruments made in a factory. From the very first months, the marketplace populated with builders and makers hoping that others would come and find their unique handmade creations. Today, of the tens of thousands of sellers on Reverb, a growing percentage are building their own products from the ground up and using the site as a platform to grow their brand. From France and Australia to Nashville and New Mexico, we’ve found some folks with amazing stories and incredible products worthy of a closer look. Here are a handful. Chris Shibley doesn’t just build his amps by hand. He built his entire workshop by hand, first disassembling a 19th-century log cabin and rebuilding it as his own inspirational amp-building space. The products that come out the cabin - his affordable Tweed and Blackface tributes, his Tennessee Beatboxes, his delightful little Ampoids - are all about fun. 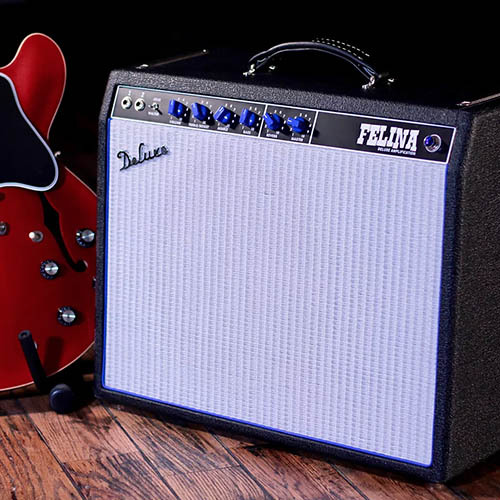 Chris carved out his own niche building these affordable, eye-catching and smile-inducing amps, and the Reverb community welcomed him with open arms. Everything Geof Hancock and his family do is homegrown. 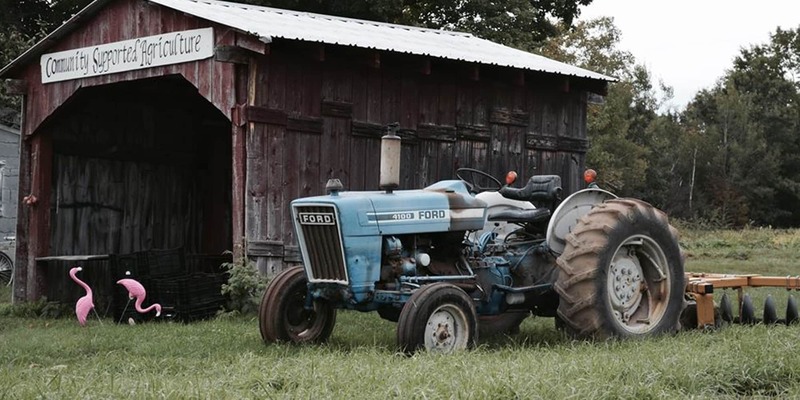 In the summer, they run Hancock family farm, selling mixed vegetables through a CSA and the farmer’s market circuit. Come winter, they build effects pedals and guitar straps by hand, putting the profits from transistors and canvas into seed and fertilizer. It would be a nice story on its own, but the fact that Geof’s pedals are endlessly fun to play makes Farm Pedals one of our favorite handmade brands. 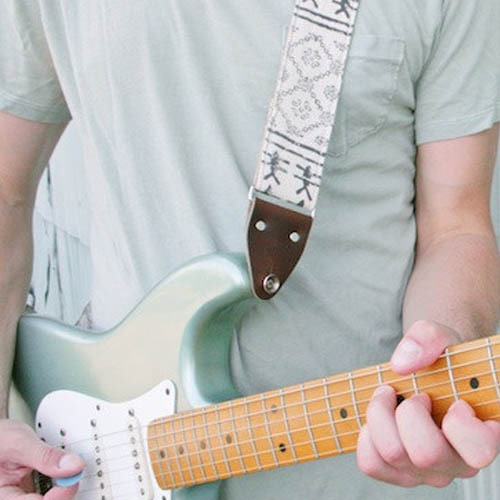 We dig their straps and the pedals’ visual aesthetic, too. Check out the Hammond’s Organs and thank us later. 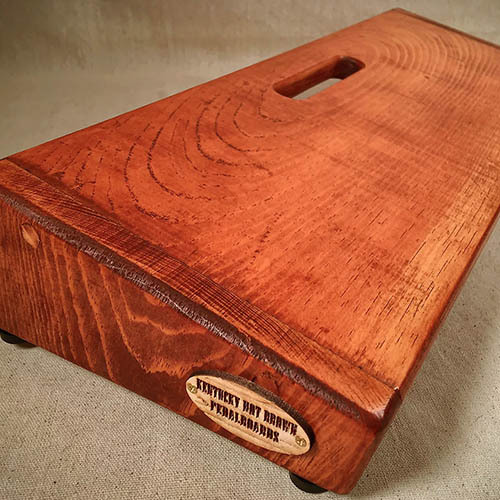 When growing season ends, this couple puts idle hands to work on transistors and canvas. Alexandre Ernandez and Magali Goullet, hard at work in Nice, France, might just be making the most visually striking pedals ever made. And by visually striking we don’t mean hand-painted with bright colors in someone’s basement. 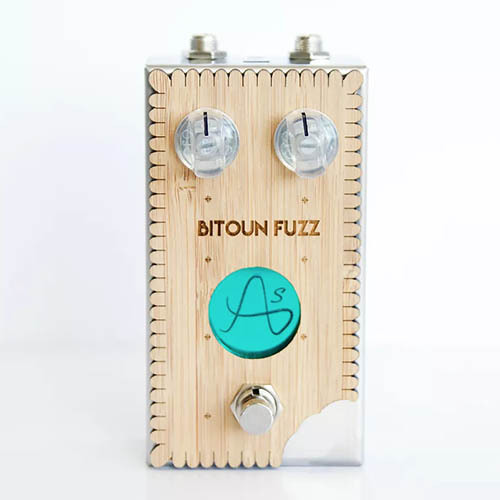 All of their Anasounds pedals have an electric blue icon that pops inside a beautiful, sometimes laser-etched, wood top. 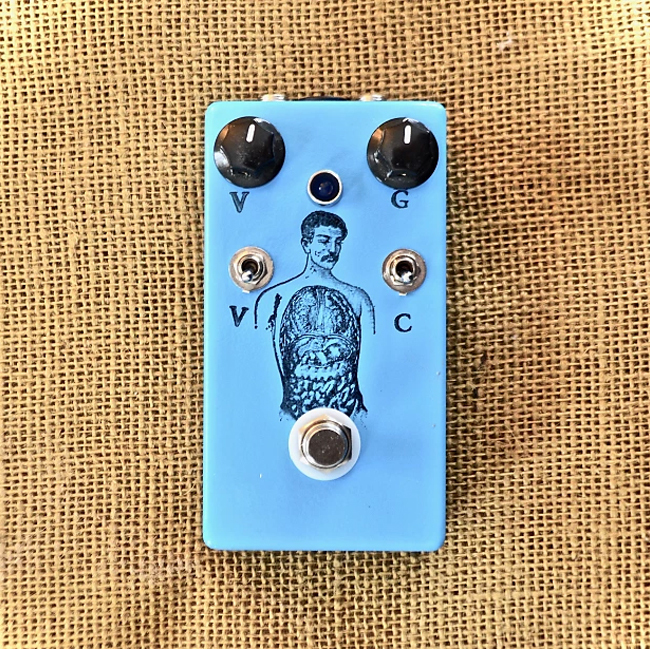 There are other builders who make beautiful pedals, though. What separates Anasounds, is the incredible attention to detail when it comes to dialing in their circuits, and the dedication to making something special. See their no-knob Feed Me fuzz as Exhibit A. It has five internal trim pots if you want to tweak, but this thing sounds so good you won’t miss the knobs. 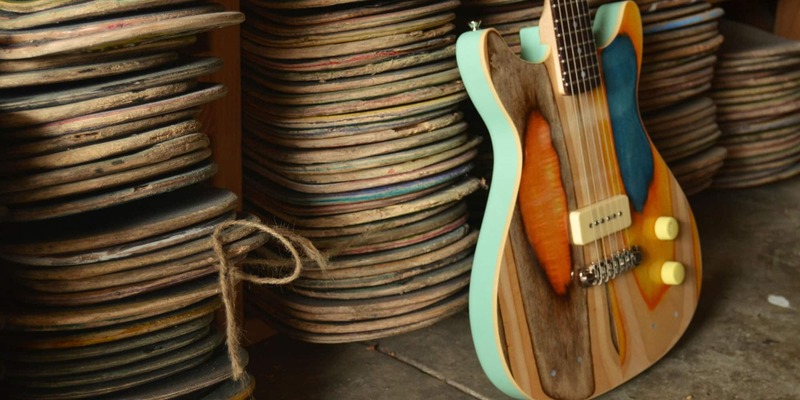 Skateboards might not be the first thing that comes to mind when thinking of building materials for electric guitars, but it made perfect sense to Nick Pourfard. There’s a lot of overlap between skate culture and music-making, and there’s a certain intimacy to playing a guitar made with decks you or a friend spent so much time on. Skeptical? This not an amateur operation. Pourfard and his team prototype body templates using CAD, layer the bodies using a unique press, and outfit their guitars with pickups from David Allen and Tim McNelly and Mastery bridges. 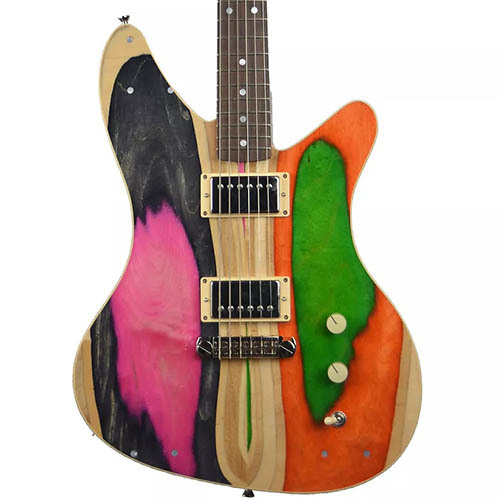 The result is a line of absolutely unique looking guitars, sustainably made, with a high bar for playability and quality. Under that grip tape, skate decks are mostly made of rock maple. Why turn what rolled into something that rocks? 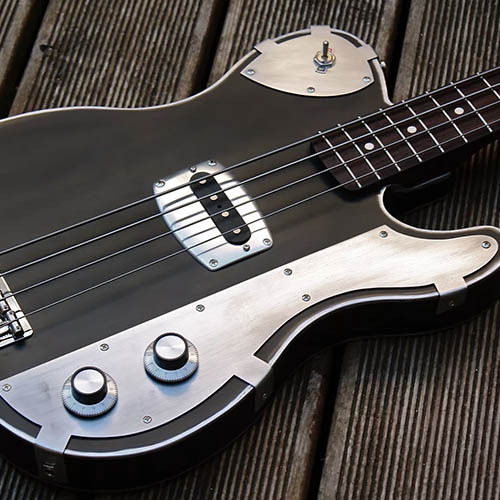 Brothers Bertrand and Jérémy Sachoux in Burgundy, France started with a fascination with the work of James Trussart and Doug Kauer and developed their own all-aluminum building style, creating some of the most amazing guitars and basses ever to grace Reverb. We’re not the only ones who think so - Billy Gibbons of ZZ Top and Scott Holiday of Rival Sons both tapped the brothers for custom models. Ever wonder what an all-aluminum Weissenborn tribute would look and sound like? You don’t have to anymore. The brothers don’t have any “series” of guitars they manufacture. Everything is custom built by hand at the request of musicians. That means thirty guitars a year with a months-long waiting list, making their inventory on Reverb all the more precious. 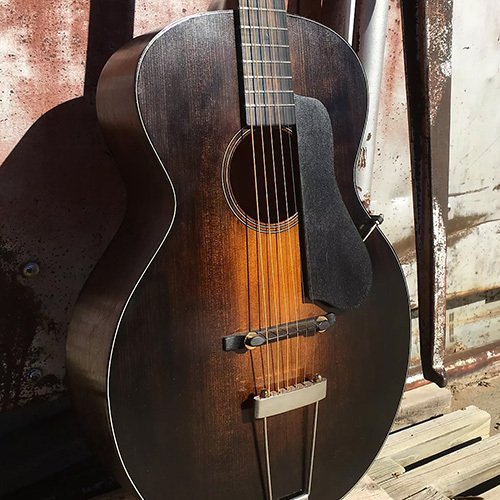 The world of handmade boutique acoustic guitars is rife with glossy, ornamental OM and dreadnought models, which is precisely why we love Patch Rubin’s refreshing pivot to revive the forgotten beauty of Gibson’s century-old L-1 design. Roderick Octigan’s work is so breathtaking that it was recently featured at the Soma art gallery in his native Melbourne, Australia. Don’t get it wrong - his guitars are made to be played. 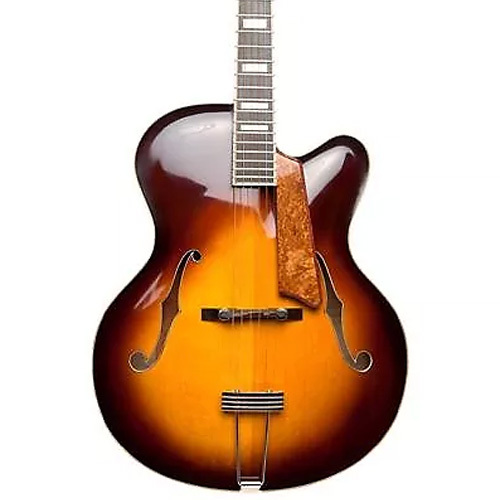 But in the archtop arena where aesthetic beauty is requisite, Octigan guitars still stand out in design and detail. He offers impeccable 17” archtop models, but our favorite is his ES-175 interpretation, with handwound P-90s and a Bigsby. Beyond the looks, the native Australian tonewood choices will offer a different palette for anyone looking to try something new. This family operation in Gainesville, Florida is spearheaded by Jeff Hoy, a church worship director and youth pastor who happens to have a knack for woodworking and an eye for detail. Throwing together pieces of wood that can serve as a pedalboard is a DIY project anyone can do. Turning it into beautiful, clean and durable work of art requires true dedication. 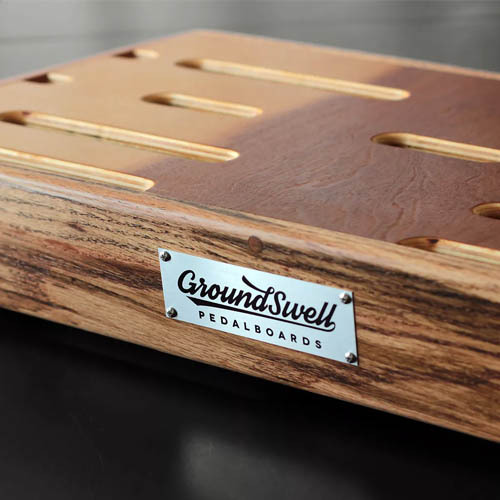 Groundswell boards are made to order, with an astounding array of options around size, handles, slotting, power accomodations and finish. They’re certainly not the cheapest boards on the market, but, as several hard-gigging Reverb staffers can attest, a Groundswell board will be the last board you’ll need. Kenny Marine is a gift to effects-users everywhere, producing cool, affordable boards in all sorts of styles for all sorts of people. A solid return policy and a ship-anywhere attitude has earned the Louisville-based brand a lot of fans around the world. Our personal favorite is the Flat Boy in burned pine finish: space for six standard stompboxes plus an expression pedal and a tuck for a power source for under $50. What’s not to love? This Nashville-based brand is a favorite among the likes of Ty Segall, Kurt Vile, Angel Olsen, My Morning Jacket and more. It’s easy to see why. Original Fuzz sources beautiful fabrics from all over the world, including sustainable, ethical, and often times fair-trade textiles from international artisan co-ops. Their straps feature handwoven and hand-dyed wool from Peru, hand-stamped cotton from India, dyed fabrics from Thailand and Africa, as well as repurposed vintage fabrics they’ve found along the way. Did we mention that they’re some of the softest, most comfortable straps we’ve ever tried?